One of the biggest questions in our industry is how the role of public safety operators will change as the transition to mission-critical broadband begins in earnest, given the lack of the funding necessary to roll out dedicated nationwide broadband networks for public safety use. During this process, they will have to ensure that the public and other stakeholders understand that this is a case of evolution, not destruction, as the knowledge they have gleaned from years of working to ensure that public safety users get the service they require and the resulting close relationships with user organisations are not things to be lightly cast aside. Over in Belgium, this came to a head at the ASTRID User Days on 3-4 October, when comments made at the event (which was a celebration of the operator’s 20th year, a conference and exhibition all rolled into one) resulted in some articles being circulated in the press about ‘the end of ASTRID’. ASTRID swiftly addressed this narrative, by releasing a comprehensive and well-referenced statement on 5 October. Part of the issue may be the tendency to think that the physical network and the organisation that manages it are one and the same. There is some irony here, as ASTRID’s future role is well defined and is worth discussing in detail. As mentioned before, the cost and time required to deliver dedicated public safety broadband is high and, in the case of Belgium, it was decided that a much more attractive option would be to collaborate with all three of the country’s commercial network operators (Proximus, Telenet and Orange). Rather than requesting its own 700MHz spectrum, ASTRID insisted that the MNOs that make use of this spectrum provide guarantees this band can be used free of charge by emergency and security services, while also providing roaming and extra coverage, security and priority at a fair price. These guarantees are currently being introduced into the auction process through draft Royal Decrees (which at the time of writing are still to be adopted), championed by Alexander De Croo, the minister for telecommunications, and Jan Jambon, minister for the interior. Under this arrangement, ASTRID will continue as the communications operator for the public safety services through to 2025-2030, during which there will be a gradual changeover from TETRA to the commercial networks. ASTRID will be integrated into the MNOs’ access networks, stringently monitor their provision of extra coverage in areas where it is not offered for commercial reasons, and will provide service continuity guarantees during severe storms or power outages. ASTRID will oversee access rights and ensure the security of emergency communications using additional systems. It will also ensure that public safety users’ priority access is maintained in the event of network overload. 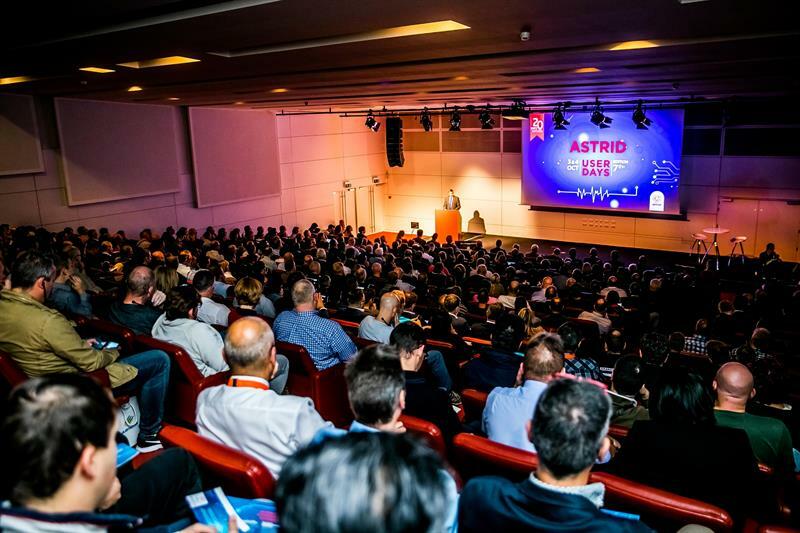 Part of the long-term vision for ASTRID is for it to underpin a change in user organisations’ operational procedures, as Jambon explained during the opening session on the first day of the ASTRID User Days event: “ASTRID will accommodate an open technical platform that will handle all incoming data such as video, social media and sensor network data. This point was also made by Marc De Buyser, ASTRID’s CEO. “We will need to sign special agreements on all this, especially in the way we disseminate and share information, and we have to abide by security standards.” He added that the data being analysed could include biometric data, “even blood pressure”. We’ve not yet touched on the fact that ASTRID is both a TETRA network operator and a mobile virtual network operator (MVNO). Through its Blue Light Mobile (BLM) service, it is able to provide public safety users with nationwide roaming between Belgium’s three mobile networks along with priority and pre-emption while they are on the Proximus network (the service’s default commercial network). During a session dedicated to this topic, Christian Mouraux, product manager at ASTRID, explained that priority is handled by automatic access class barring, which when implemented in an area experiencing congestion tells terminals with lower-class sims not to connect to the network, while pre-emption (available only to Prior users – one of two categories of the BLM service, the other being First) causes the network to direct its resources to the user, quitting other sessions if necessary. He added that access class barring initially had to be implemented manually, which could take up to 60-90 minutes to activate. Now the whole process of activating it in a congested area takes minutes. Because of the need for financial considerations to not impede the use of BLM by public safety organisations, BLM charges the same price as Proximus with the difference in cost paid by the federal government. There is one non-financial trade-off: as a small operator, ASTRID’s BLM service cannot offer the same sophisticated tools for sim fleet manager as the MNOs. Via the ASTRID Cloud, the operator provides a number of applications to BLM users, including a mobile working application called ISLP that allows police officers to write their reports without travelling back to the office and query databases on people and vehicles, and CarCrash Recovery, which tells firefighters the best way to cut open a vehicle to extract trapped people – which is important given the increasingly complex nature of modern vehicles (for more on app ecosystems, see our piece on the subject on page 25). Mouraux said ASTRID is working with a testing laboratory with the aim of publishing a shortlist of terminals that ASTRID will recommend for use with BLM. The rationale behind this is that “every time we’ve had problems with some users with BLM, it was always a problem with the terminal, either [its] configuration [or] there was an incompatibility”. He added that ASTRID has just begun testing two applications that allow cellular users to talk to those on TETRA talkgroups – Airbus’s Agnet and Motorola Solutions’ WAVE – and that if this service works well, it will add it to the services it offers as part of BLM. It is similarly testing a PTT application, which currently works over the top, “but the goal is to integrate it with the LTE network by using QCIs [quality of service class identifiers] and things like that”. Mouraux said ASTRID is planning a third generation of BLM (the first was introduced in 2014, the second – which brought in pre-emption and priority – in 2017) and that it will start writing the specification for this in 2019, with the goal of introducing it in mid-2021. He added that ASTRID is looking into whether this will be possible while allowing current BLM users to retain their current sim cards. ASTRID would like to have dedicated QCI, which is important for real-time applications and an “absolute priority for all BLM cards”, as well as a virtual private network (VPN) that could work in combination with that of the end-user organisation’s. Currently, it is one or the other – users choose to use either ASTRID’s own VPN or their own, but in the case of the latter, it means they cannot access ASTRID’s applications for use on BLM. Mouraux added: “We have to be compatible with VoLTE (voice over LTE), [it is] only starting here in Belgium and today BLM is not compatible with VoLTE.” This is because the special arrangement that was made to allow national roaming when BLM was first set up precludes it, and ASTRID now has the support of the relevant authority and this will be changed in the future, allowing true national roaming and making BLM compatible with VoLTE. Similarly, Mouraux said the Belgium user organisations have requested seamless roaming between the mobile networks and Wi-Fi, and ASTRID is studying whether it is possible to have more intelligent automatic roaming. He explains that the current roaming system only switches a user over to a different network when the signal completely drops from the one it is currently connected to, when it may be beneficial for users to change network when there is no issue with signal, for example if the current connection is 3G, not 4G/LTE. Back in 2016, ASTRID rolled out its new paging network with two-way paging and encryption being specified in the tender. While the network was quickly built and operational, the two-paging functionality as well as encryption were not immediately implemented. 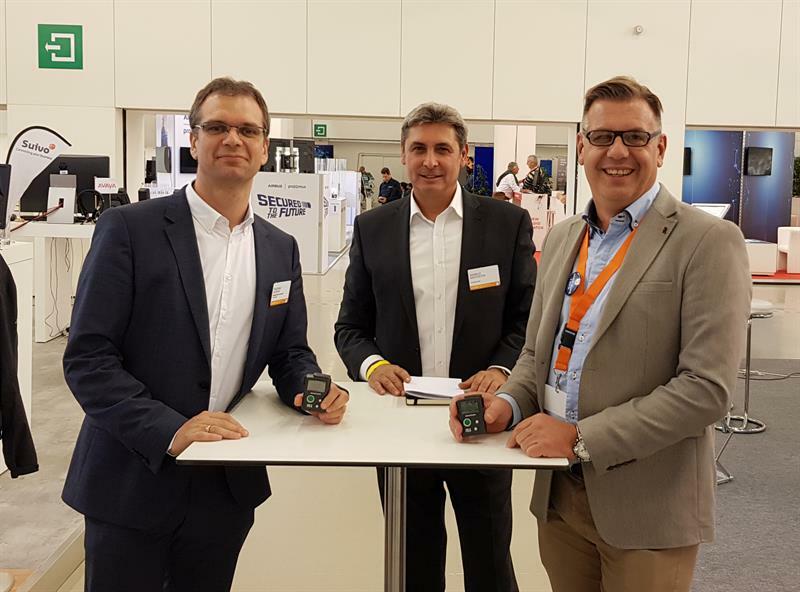 At the ASTRID User Days 2018, ASTRID presented its two-way paging solution. Jurgen Poels, head of radio networks, systems and transport, said all necessary system components are in place and the operator also offers a “very low fee per month” BLM service, which allows roaming between all three of Belgium’s cellular networks for paging as well as prioritisation for blue-light organisations. This allows ASTRID to offer its customers a highly available, fully integrated two-way paging solution at a very competitive cost. This two-way paging service allows both for hybrid alerting as well as for technical acknowledgement and message feedback. Messages will go out over both networks (POCSAG and BLM) simultaneously, but the user will only see one message. This increases the resilience of the alerting concept and extends the coverage also across national borders. In case of manual acknowledgement, users must respond within five minutes, otherwise their alarm is labelled as unanswered. ASTRID has also recently introduced end-to-end encryption for its paging service and, according to Swissphone’s CEO Angelo Saccoccia, is the first to do so on a nationwide basis. The initial discussions began early this year and it has been technically operational since this summer. A majority of the paging users weren’t concerned about the absence of encryption – partly as much of the work done by fire brigades should involve little sensitive information, unlike emergency medical services where patient information might be sent over the air. According to Poels, what definitively prompted ASTRID’s decision to introduce encryption was that some members of the public were intercepting some communications from pagers and publishing the content on websites. Two-way paging was taking place in Belgium before ASTRID introduced its current service, but it was happening at the local level. “In our first meetings with the end-user organisations, they said ‘if ASTRID could do two-way paging and encryption, it would be a lot easier for us because the amount of day-to-day management required by local systems is quite a burden’. So, we upgraded our central server site with the cellular gateway connecting to the pagers via cellular,” said Poels. 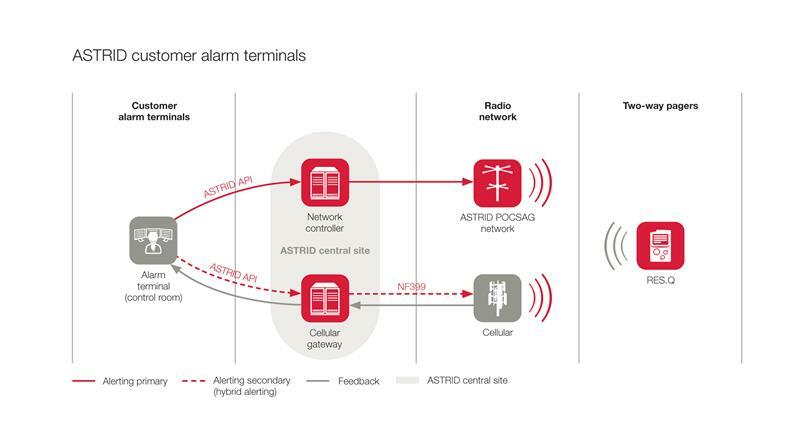 When it comes to displaying the feedback of the pagers in the control rooms of their customers, ASTRID does not have the intention to compete with existing control room software providers, but to provide an API that documents how their alarm terminal can interface with ASTRID’s cellular gateway. By standardising the two-way paging interface with its central server site, ASTRID increases the standardisation of interfaces, which is in the interest of its blue-light customers. He added that the breakthrough came when Swissphone advised ASTRID last year to use a French cellular gateway standard called NF399. The disadvantage being that NF399 only supports three predefined status messages, while ASTRID required 10. ASTRID now plans to extend the number of statuses in the cellular gateway protocol to 10. This is already agreed with Swissphone. Based on customer requests, Swissphone recently updated the firmware of its RES.Q two-way pagers to accommodate 16 status/acknowledgement messages; however, these will have to be implemented by local providers. In addition, Swissphone has now separated status from profiles to allow even greater flexibility when implementing status management. Poels recommended that public safety operators seeking to deploy similar systems should focus on checking the details, as “many projects look good at the high level, but often the things that decide whether they will work are in the very small details”. It was very important to ASTRID that its introduction of two-way paging and encryption didn’t leave any paging device vendor behind, which would have created disruption in the market and reduced competition, and Poels said ensuring this didn’t happen was quite difficult. The Swissphone two-way pagers are supplied to the end-user organisations by TranzCom. In regards to encryption, Swissphone’s Saccoccia added that all of the models of pagers that Swissphone has sold since 2007 can easily be upgraded with the software that supports the end-to-end encryption managed by ASTRID – both two-way terminals as well as one-way terminals. Swissphone pagers in the field are currently encryption-ready and are available in the current frame agreement organised by ASTRID. Saccoccia said Swissphone will continue to support ASTRID and other operators with innovations such as the RES.Q LTE that will be launched at PMRExpo, with an integrated cellular module allowing for LTE-M and NB-IoT and GPRS fallback, allowing to increase battery autonomy and indoor coverage while preserving the advantages of cellular connectivity such as high-transmission security and acknowledgement of every data message. So far, we’ve dealt with the content from the ASTRID User Days that was focused on the operator’s recent work and its future plans, but many other companies and organisations were present. 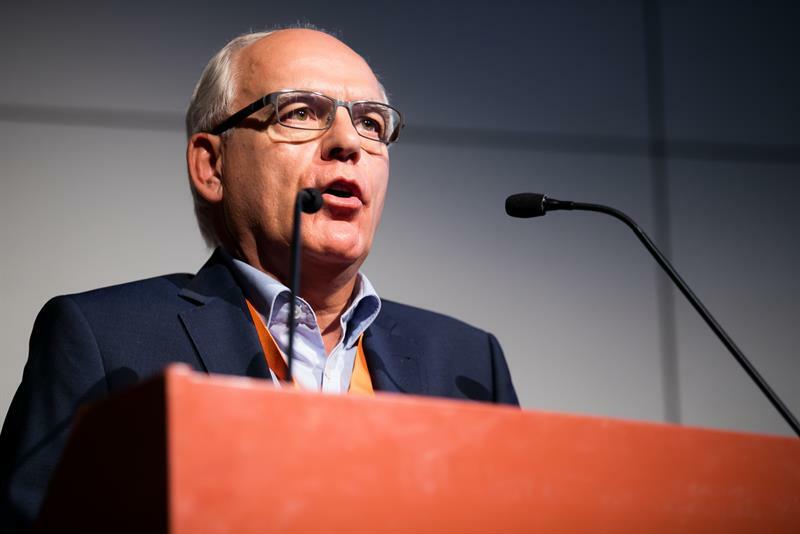 Pâris was followed by his colleague, Alfonso Zamarro, drones activities manager at EENA, who discussed how drones are changing the public safety landscape. He noted that there are applications for drones pre-, during- and post-incident use. Starting with the former, he said firefighters are starting to use drones to inspect critical infrastructure and take pictures of hazardous materials sites, so they can use the footage if it is not possible to fly a drone at the location during an incident. In addition to providing good aerial views during an incident, Zamarro highlighted the use of sensors and thermal cameras to detect leaks of hazardous materials and areas where it is too hot to send in a firefighter. He also noted Devon & Cornwall Police’s use of drones to look for a missing person in marsh areas where the reeds were four metres tall and helicopters could not get close enough to find him – there was no visibility from the ground and “the person was trapped up to almost his head [in] the mud, and thanks to the drone they could spot [him after he had been lost for 24 hours]. The drone helped the rescue team” to get to the missing person as they could see it flying above him. Zamarro said one drone use-case that has yet to be properly exploited is in large-scale medical emergencies where personnel have to perform triage across a very large number of people requiring medical attention. He noted that this is usually done on a one-to-one basis. He added that the use of drones with speakers is being tested so personnel can engage with those affected by the incident before they have arrived on the scene. There is also the use of drones to deliver medical equipment and supplies to remote areas that cannot easily be reached by ground vehicles. Turning to post-incident use, Zamarro said drones can be quickly used to create 3D maps of an incident for forensics and analysis, thereby reducing the time it takes for the emergency services to resolve a road collision and get the traffic flowing again. In the case of wildfires, Zamarro explained that drones can be used to detect hotspots and allow firefighters to more quickly target these areas. Zamarro highlighted EENA’s research to fully understand the value that drones can provide to public safety, such as its Drone Efficacy Study that was published in September, which covered the results from trials in Ireland and Wales, where searchers were trying to find simulated victims in rocky fields and on cliff edges. It revealed that the on-the-ground teams found their targets 80 per cent of the time, while the figure for their drone-using counterparts was 75 per cent, which Zamarro said was “pretty tight” given the lack of defined search and rescue protocols for drones. However, the drone searchers typically found the subjects of their search more than three minutes faster than the ground teams – “a very promising result”. He concluded by saying that EENA is now focused on defining tactics and standard procedures for drone operations in the field, and said he wants this to be “channelled towards helping legislators to create these frameworks so first-responders can easily operate legally all around Europe”. David Lund, BroadWay project co-ordinator, gave an update on its progress (see my article on this subject in our August issue). BroadWay is a stepping stone towards BroadNet, a pan-European system intended to allow seamless roaming between public safety users on broadband networks across Europe. More specifically, BroadWay is a pre-commercial procurement (PCP) process that is seeking to engage suppliers in the development of a Technology Readiness Level 8 (TRL) pilot system. It published a prior information notice in June and ran a number of open market consultation activities between July and September, and “we’ve been really pleased with the response”, Lund said. He added that (at the time of going to press) the project’s request for tender is currently being reviewed by the European Commission and that the project is planning to release it before the end of the year, pending the Commission’s approval. BroadWay expects to have a supplier on contract by May/April 2019, before entering into a design phase that should last until Autumn 2019. This would then be followed by a prototype/development phase that will run until the end of 2020. The prototypes will be assessed against a number of criteria and the best will go forward to the pilot phase that will run until the end of 2021. Full public procurement of the BroadNet system will take place “somewhere between 2021 and 2025”. During a presentation by Sepura, Jon Cossins, product manager, said Sepura and Portalify currently supply ASTRID with narrowband applications running over the TETRA network, which include communications to databases and a picture-push application. He added that “we’re also in the process of adding these exact applications onto BLM”, allowing the applications to be accessed via mobile devices. “We’ve also been working with ASTRID to provide the [system] that manages the SMS to 112 application on commercial devices and commercial networks”. He then discussed AppSpace, the company’s applications environment for its TETRA radios. One of its applications leverages Bluetooth Low Energy beacons (which can run off their batteries for years and can be easily moved around) for accurate location tracking, and Cossins described a scenario in which this could be useful – managing a large incident or event lasting a number of hours, where those managing it would benefit from being able to easily know which officers were in a rest zone and how long they have been in the zone, all without having to contact them individually. He said there is a lot of interest in this kind of capability in prisons and airports “to track and optimise the deployment of security personnel”. One of the points that was raised was that while the range of a beacon can be up to 20 to 30 metres, the power and the number of beacons deployed have to be considered in terms of the spatial resolution required. An interesting titbit of information to emerge from the conference and exhibition hall was the news that next year, Sepura will release a combined remote speaker microphone and body-worn video camera called the sRVM (Sepura Remote Video Microphone), which will be based on Hytera’s own device with a larger screen, longer battery life, GPS to allow geotagging of footage and a security label that will indicate if the SD card has been tampered with. A prototype of the device will be shown at PMRExpo. Change is inevitable, but ASTRID is looking to face the challenges created by public safety’s demand for reliable and resilient broadband head on, and it is encouraging to observe the Belgian government using its leverage in spectrum auctions for public safety’s benefit. It will be interesting to see what other models will emerge elsewhere and how ASTRID tackles any practical issues it may encounter along its way. There is more than one supplier of Swissphone equipment in the ASTRID frame agreement ! !